The European Parliament’s agricultural committee began adopting dozens of amendments to the EU’s future farm policy on Wednesday (23 January), but approval remains far from certain when the full Parliament considers compromise proposals in March. With committee voting due to continue today, lawmakers are under pressure to approve a Common Agricultural Policy (CAP) without knowing how much they have to spend and with just 11 months to go before implementation. The stakes are high for the European Parliament, which for the first time has legislative powers over policies that will govern agriculture. “It is going to be a difficult debate and a lot of [my] colleagues are not satisfied with the compromises made in the agricultural committee,” British MEP Linda McAvan (Alliance of Liberals and Democrats) said during a hearing in the European Parliament’s environment and food committee. The environment panel met to discuss the CAP with Ireland’s farm minister as the agricultural committee began a two-day session of voting on CAP amendments. The two panels have differed sharply over policies, including the environment committee’s support for tougher ‘greening’ requirements for farmers and for requiring the EU to monitor the impact of its farming subsidies have on food production in developing countries. European Commission and Council officials have conceded that whatever new policies are approved, implementation will almost certainly be delayed by a year, until 2015, because there will not be enough time for national governments and farmers to absorb the new regulations. Simon Coveney, Ireland’s minister of agriculture and food, said a quick deal on the 2014-2020 CAP is a priority and he expects agreement soon. Ireland currently holds the six-month presidency of the EU Council. There are no easy answers to several thorny environmental issues, the minister said, including linking farmers’ direct payments to requirements to diversify their crops and dedicate 7% of their land to buffers and other so-called ecological focus areas. The agricultural committee began two days of votes on the two main financial pillars of the CAP, direct payments to farmers and rural development, as well as proposals to phase out price supports for sugar and planting right for wine producers. The EU Council, representing the 27 member states, is due to finalise an overall budget for 2014-2020 at a 7-8 February summit in Brussels. The next budget is likely to deliver cuts to most EU programmes, including what has traditionally been its largest, the CAP. The European Environmental Bureau, and NGO, said in a statement: “After months of deliberation the Agriculture committee of the European Parliament has finally voted on CAP reform proposals. Rather than fixing a broken subsidy system they have instead proposed to add extra layers of bureaucracy and increase complexity, which would do nothing to improve the environmental performance of European farms. The Committee even voted to reduce the environmental potential of the CAP pillar 2. Their vote did support 25% minimum spending on the environment, but that is simply a preservation of the status quo. Preserve at least 7% of land for focus areas such as buffer areas or permanent grassland to help reduce emissions. Agriculture Commissioner Dacian Ciolo? has called the proposals for the next CAP – covering 2014-2020 - “both simple and efficient”. Yet farm groups and some national representatives fear the EU executive’s greening proposals could cause administrative headaches and even drive smaller farmers out of business – defeating goals to encourage small-scale production and to bring young people into a rapidly ageing industry. 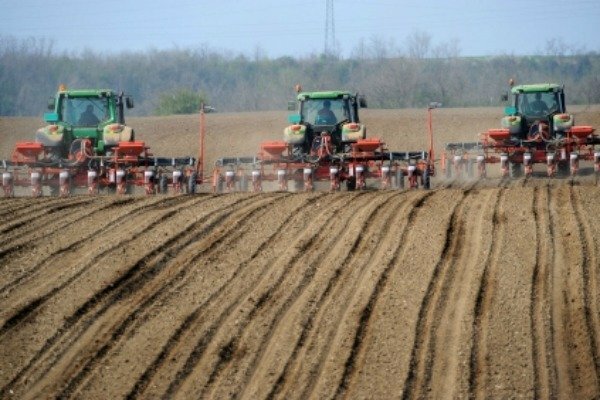 The organisation representing Europe farmers and farm cooperatives – Copa-Cogeca - says the Commission’s greening proposals would introduce new layers of reporting while threatening farm income by requiring, for example, that 30% of direct payments to linked to greening performance.